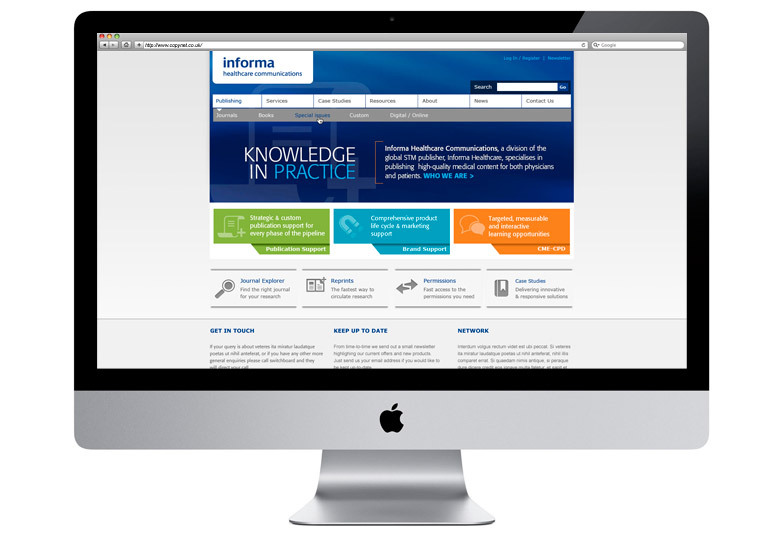 Informa Healthcare Communications specialise in providing custom healthcare publishing and Continuing Medical Education (CME) which help their clients transform valued primary content into the knowledge that shapes medical practice. CuCo won the pitch to re-design their communications website. 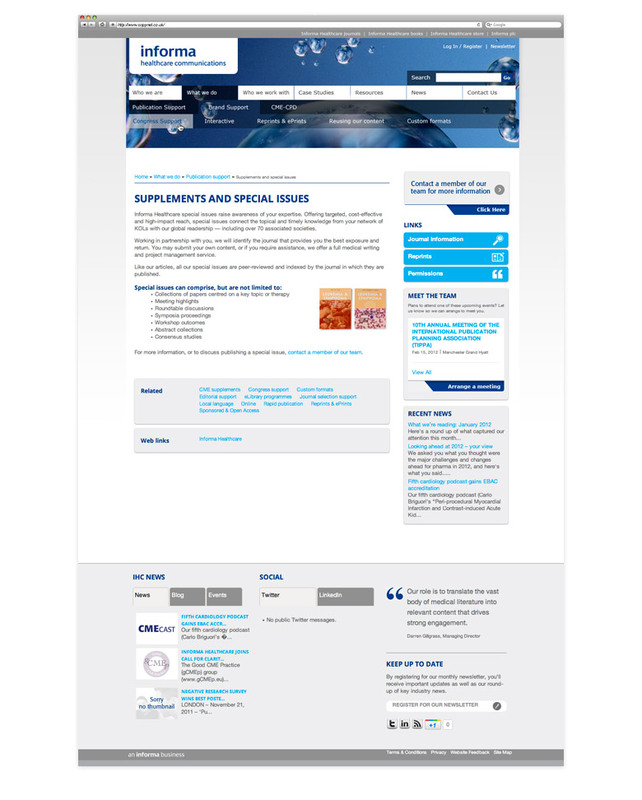 The company required their site to become more user friendly and easier to navigate in order to allow people to easily find relevant resources using the ‘journals explorer’, for example, to narrow down their search. As well as giving the site a fresh new look and feel CuCo have included a news feed in the footer on the homepage and have also heavily made use of custom posts and taxonomy. We selected CuCo for their expertise in WordPress development, and they exceeded our expectations. CuCo met our demanding specifications in the agreed timeframe and to the agreed budget. I was particularly impressed with their flexible and consultative approach and would unhesitatingly use them for WordPress development in the future.